If your wondering about finding a good publication that contains the entire Mac world within its pages, then look no further as Mac Life magazine is the one magazine that knows and understands your Mac addiction and therefore caters to your specific desires. Buy a single copy or subscription to Mac Life magazine. It is a Mac lifestyle magazine that seeks to provide you with all the up-to-date news and reviews of the best Apple products and software available, while showcasing upcoming products that you need to keep your eye out for. One of the greatest aspects of Apple products is their innovative and aesthetically beautiful designs, and therefore it takes that attribute and applies it to every one of their magazines, showcasing beauty and innovation with the flavor of the future on every cover. Whether you are an experienced Mac addict or have just bought your first classic iPod, Mac Life is an entertaining publication free from heavy computer technology jargon and biased reviews. 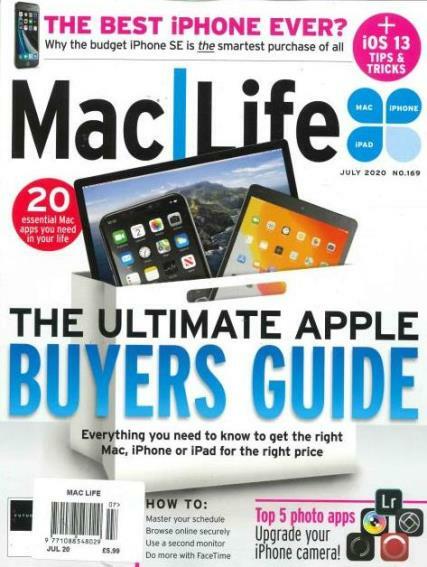 Within every issue of Mac Life you will find exclusive reviews of the latest products, interviews with the leading forces behind Apple production, and comprehensive advice to help you understand the complicated world of your Macintosh, iPad, iPhone, or other Apple device.